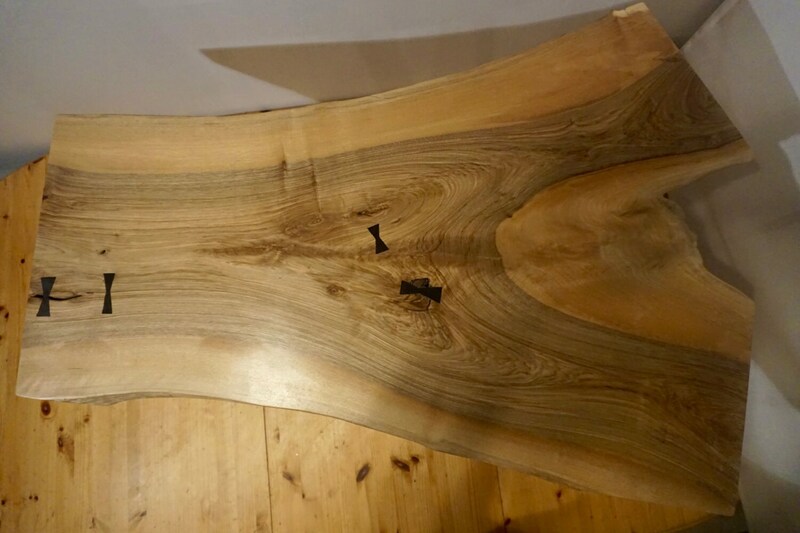 Hand made coffee table with a rare piece of locally sourced, solid English Walnut as the table top with European Beech legs and an English Oak frame. 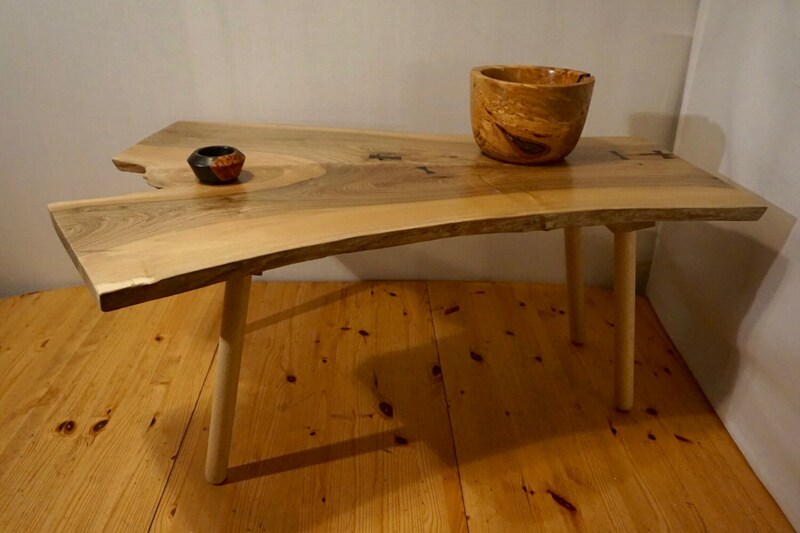 The table top's edges have been left with the natural look of the tree it came from, this combined with the interesting grain pattern and figure of the wood give this table a striking appearance that would make it a focal point in any environment. 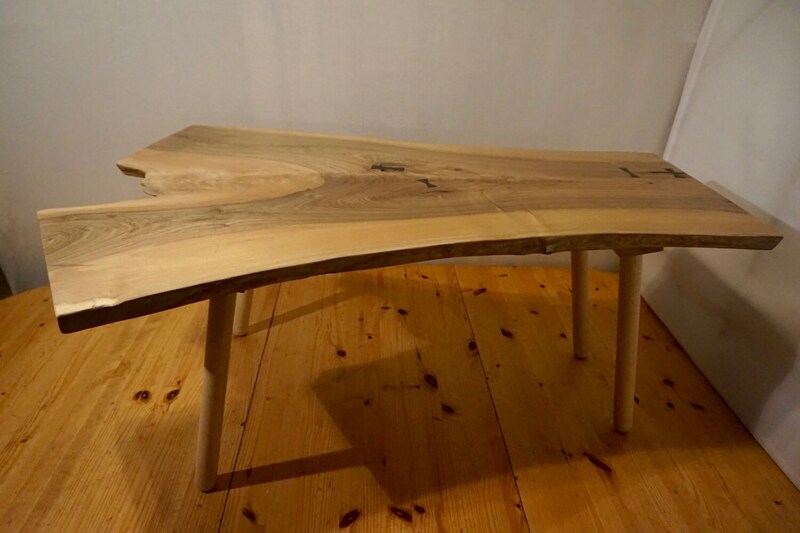 Over time wood moves and changes slightly. 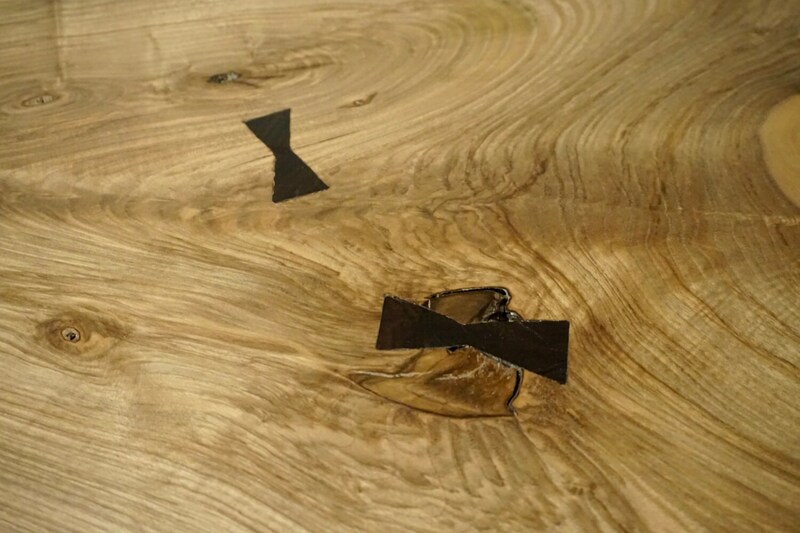 To combat this, Ebony 'bowtie' keys have been installed over the natural cracks and faults of the wood to avoid these worsening. 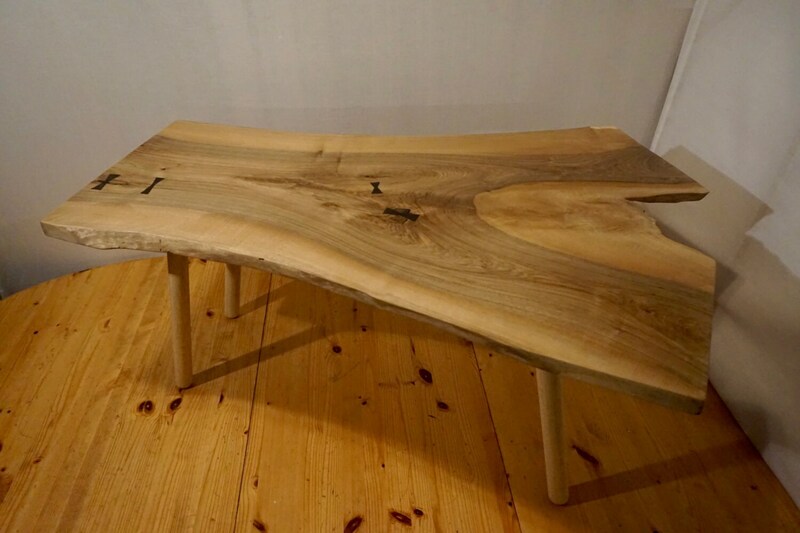 This coffee table measures 104cm (41") long, 44cm (17.25") tall and ranging between 75cm (29.5") and 41cm (16.25") wide.